After "Jeanne Hebuterne with Hat and Necklace"
From April 30 through May 24, Mitchell·Giddings Fine Arts -- at 183 Main Street in Brattleboro -- presents the exhibit "After Images" by acclaimed photographer Amy Arbus. These works are a series created over the course of ten months in 2011 and 2012 to pay homage to her favorite painters, including Balthus, Cézanne, David, Ingres, Modigliani, and Picasso, among others. The images will seem familiar to most viewers. They are photographs of live scenes staged to replicate the powerful effects of original paintings from the early 20th century. Arbus's team painted costumes, props, and the models themselves. What has materialized is a series of hybrid images that challenges the thin line between painting and art photography. "Initially I had no idea how to actually produce these pictures," says Amy Arbus in her artist statement. "I studied the portrait paintings, organized a team, and began experimenting by photographing actors and dancers. My biggest challenges were how to create extremely soft lighting, skewed perspectives, Picasso's elongated fingers and Modigliani's incredibly long necks. "I was always too intimidated to create portraits in the style of another photographer, yet ironically, with this series, in taking liberties from the original, I feel I was able to make my most unique body of work yet. When people first see them, they are convinced they are paintings." 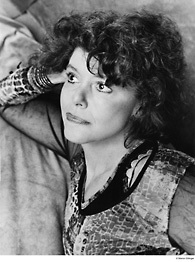 Amy Arbus has had 25 solo exhibitions worldwide and published five books, including the award-winning On The Street: 1980-1990. Hilton Als in The New Yorker described The Fourth Wall as her masterpiece. Her photographs have appeared in and on the covers of periodicals such as The Village Voice, The New York Times Magazine, Bloomberg News, French Vogue, Harper's Bazaar, People, New York Magazine, and Aperture. Advertising clients include Chiat/Day, Cone and Belding, Saatchi & Saatchi, New Line Cinema, Nickelodeon, and Marina Rinaldi. Arbus has been teaching portraiture at the International Center for Photography for 20 years and at Anderson Ranch and NORDphotography. Her photographs are in the permanent collections of The Museum of Modern Art, New York; The New York Public Library; The National Theater, Oslo, Norway; Spencer Museum of Art, Lawrence, Kansas; and The Richard Avedon Foundation, New York. All of the above accomplishments might never have happened if Amy Arbus had followed her earliest aspiration. She wanted to live the life of a bebop jazz musician and was studying music at Boston University before finally taking the advice of her friends. They "knew I was a photographer before I did because I always spoke of the world visually." Growing up as the daughter of famed photographer Diane Arbus and photographer-turned-actor Allan Arbus, it seems to be as much an inherited talent as it was fate. 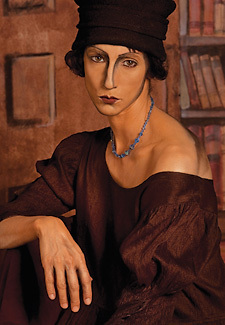 Although she cites her mother as an influence in her work, she credits most of her gained knowledge of photographic skill and technique to Richard Avedon, who was a close friend and supporter of her mother. Avedon took note of Arbus' potential talent at the International Center of Photography during a master class in which she photographed herself from behind, while in a bathtub. The unusual self-portrait marked the turning point for Arbus to begin professionally pursuing the art of photography. Mitchell·Giddings Fine Arts specializes in contemporary fine arts and craft in a variety of media by regionally and nationally recognized artists. The gallery is open Wednesday through Sunday from 11 to 5; 802-251-8290; mitchellgiddingsfinearts.com.